Reeva reveals her plans for a major mission for the Inner Circle to secure some needed funds. Meanwhile, the Mutant Underground must contend with Reed’s unstable powers, hoping that some medical help from Caitlin and Lauren will keep his destruction in check. Also, Jace is introduced to Benedict Ryan (guest star Peter Gallagher), a well-connected public figure who supports the efforts of the Purifiers, but the two may not see eye-to-eye. Then, Thunderbird finally confronts Blink about her dealings with Urg, after weeks of tension over their meeting. Guest Cast: Peter Gallagher as Benedict Ryan. Air Date: Tuesday, Nov. 13 (8:00-9:00 PM ET/PT) on FOX. 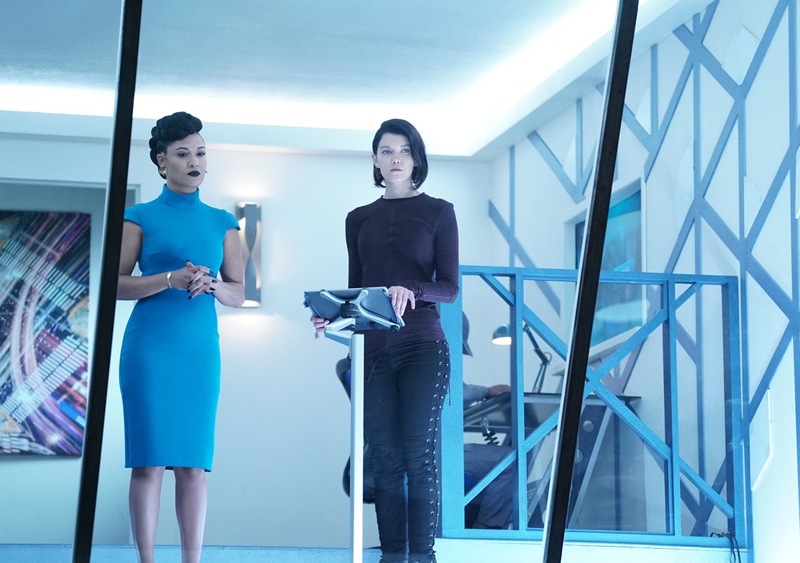 THE GIFTED: L-R: Grace Byers and guest star Hayley Lovitt in the "no Mercy" episode of THE GIFTED airing Tuesday, Nov. 13 (8:00-9:00 PM ET/PT) on FOX. ©2018 Fox Broadcasting Co. Cr: Annette BrownFOX.